Measurements: 10mm long X 8mm wide X 3mm deep. Characteristics: . 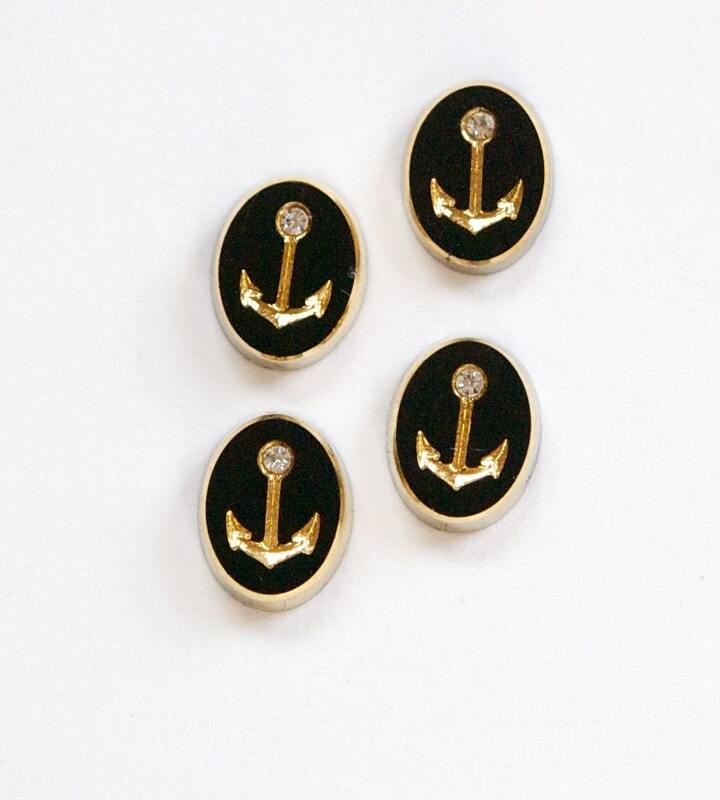 The front has an etched anchor that is detailed in gold. The top of the anchor has a set rhinestone. The border is gold. The back is flat. Thank you for a wonderful item! Fast shipping-great cabochon. Thank you.